Me and My Shadow « Two Minutes of Grace. Debbie, as usual, has done it again! Ravished By The Beauty Of Christ « Samuel at Gilgal. A wonderful message that will challenge us, once again, to check our motives for service. have refreshed the hearts of the saints. be a great one to have said about you! who refreshes the hearts of those around us this week. life who have encouraged me when I most needed it. those around me who desperately need my encouragement. 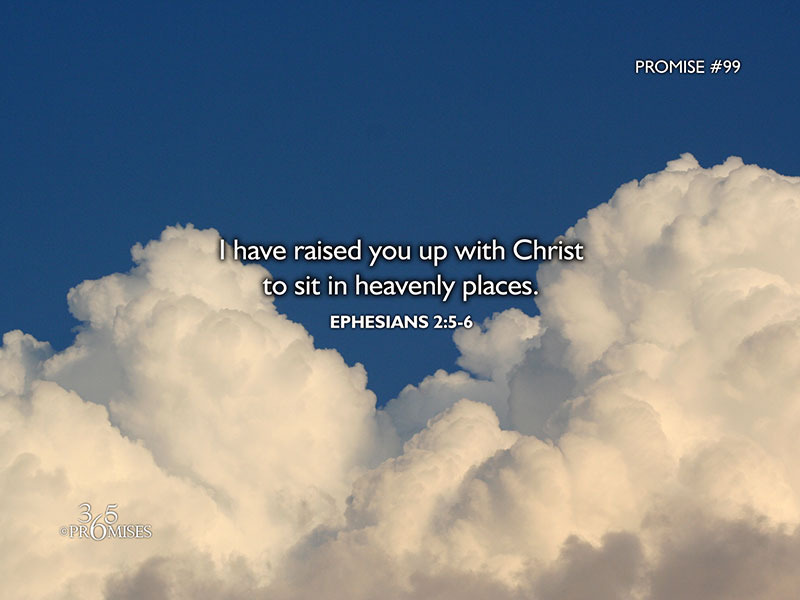 Daily Promises – August 31 – You can look forward . . . 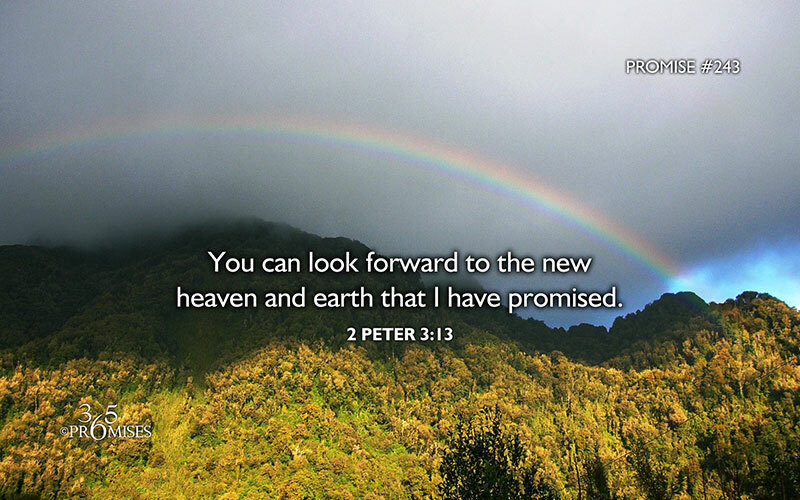 Promise #243: You can look forward to the new heaven and earth that I have promised. We have something really big to look forward to! … A new heaven and a new earth! If that is not cause for celebration, I don’t what is! All of the reminders of a fallen world will be gone and we will have the privilege of enjoying an untainted new residence for all of eternity! No matter how difficult our circumstances become, we all can hold onto the promise of eternal life. In Jeremiah 29:11, God promises a hope and a future to all who belong to Him. The next time you turn on the television and watch the news, don’t lose heart! There is a time coming when our God and Father will make a new heaven and a new earth for us! How amazing will that day be for all those who are in Christ! but because he chose to love you.